We’ve been making several trendy fashion scarves recently, but this one is a little bit different. Yes, it’s trendy! But it’s also very warm and cozy. 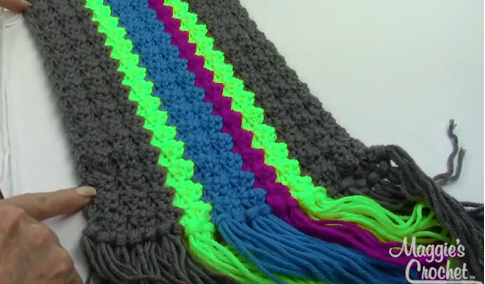 This neon stripe scarf is crocheted on the long side using Premier® Yarns Everyday Soft Worsted. 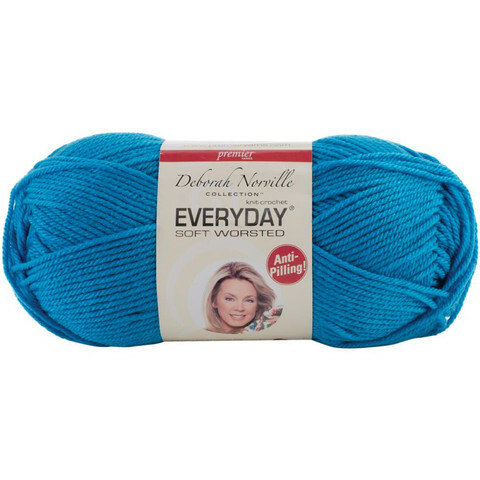 This 100% acrylic yarn is machine washable and dryable so it is very easy care. It also has an anti-pilling quality that keeps it looking fresh and new wash after wash. And the best part: it comes in 71 colors! Maggie shows off her scarf for the camera! The pattern for this scarf can be found here. 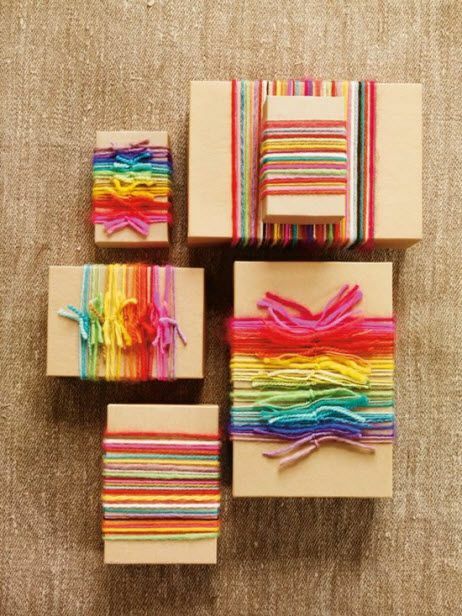 You will need 5 balls of yarn in your favorite colors to complete this easy skill level crochet project. What colors did you use to make your scarf? With all of the color options available in Everyday®, I imagine it was difficult to choose just 4! Here is a close-up of my scarf. I just love how the neon colors pop! 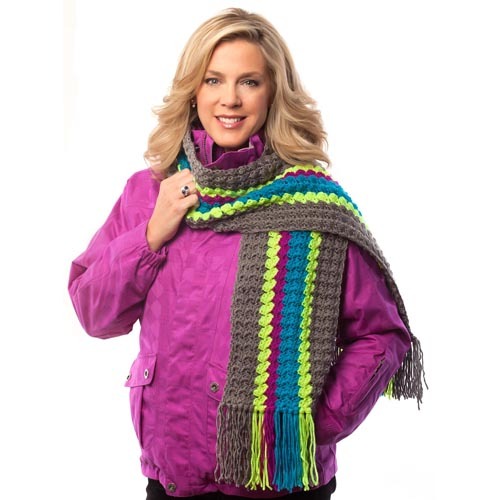 This fun scarf is sure to keep you toasty warm this winter. And it has a matching hat! Stay tuned for that video, coming very soon. Couture Jazz Scarf is another cozy scarf you can make using the technique of arm-knitting, one of the newest and hottest trends in yarn crafting today! 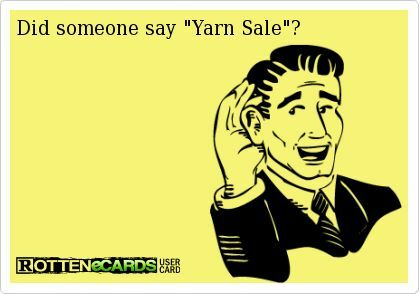 Just click on the link for video tutorials and written instructions on arm-knitting, and have fun!